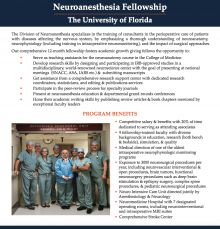 The Department offers a 1-year fellowship in neuroanesthesia during which fellows conduct research, manage cases, and participate in didactics. View and download our flyer. 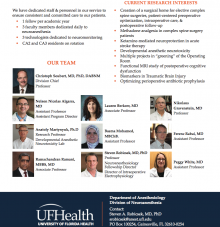 This fellowship position currently requires an active Florida medical license. 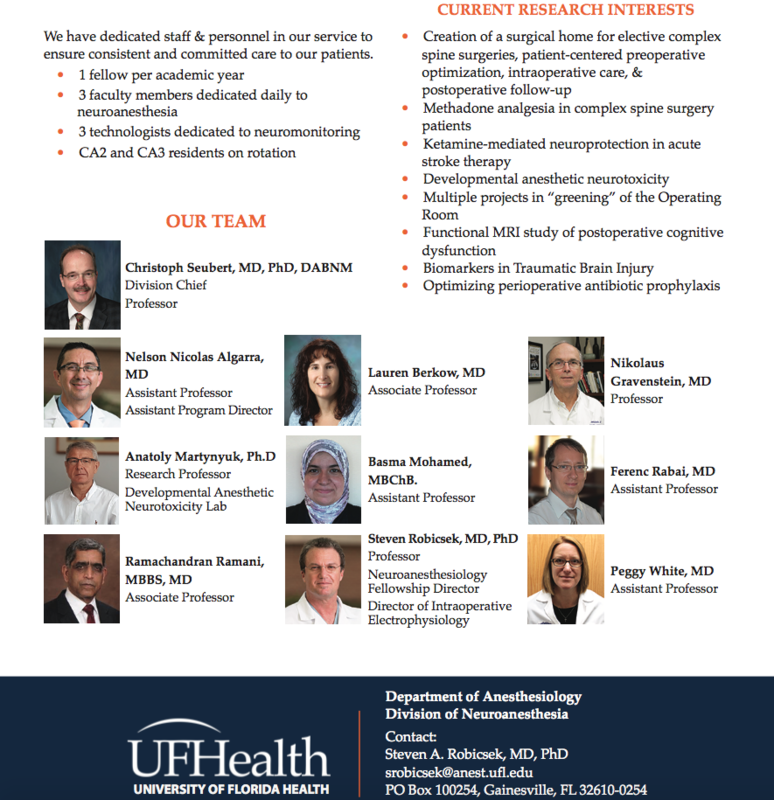 Please view the Florida medical license website for information on applying for this license. 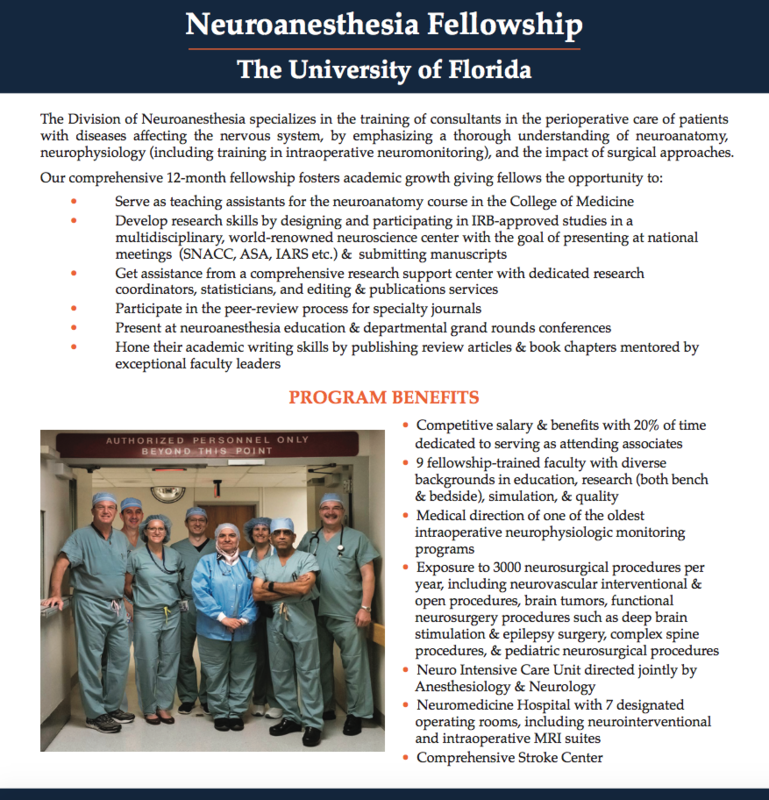 Fellowship positions at the University of Florida are heavily competitive. As a result, please submit your application as early as possible to the email address below so that we can arrange for an interview. Applications are received and reviewed on a first come, first served basis. Interviews of selected candidates will take place throughout the year. Please email your application packages to our Fellowship Program Coordinator, Christie McLaughlin, at cmclaughlin@anest.ufl.edu . In your email, please state which fellowship you are applying for and in which year you would like to start. Fellowships start on July 1 each year.